Posted on June 27, 2014 by F.H. As I am trying to cut back on my paper trail, I am always looking for ways to use my iPad. Recording your student read aloud allows you to calculate their accuracy, words per minute and text level. The only way of keeping these records is via email. I email them to myself and then open them in Evernote. I have created a notebook stack with a notebook for each student in Evernote, so once the reading recording has been opened in Evernote, I just move it to the student’s individual notebook. (Please note, creating a notebook stack can only be achieved when using Evernote on a computer, not an iPad! I have a notebook stack called ‘Students 2014’, with 26 notebooks within that stack). Having that audio file of the student reading is perfect evidence for parent teacher interviews! Evernote is my next must-have, for the reasons above, plus much more! The ability to tag your notes with a category makes it easy to see all of the notes that you have written about ‘Meetings 2014’, or finding the web address that you typed down to access the school interview site! The iPad version of Microsoft Excel, this app offers all of the same spreadsheet functions. I never knew how valuable a spreadsheet was until last year. I store ALL of my assessment results in Excel – scores, dates, stanine, percentages etc, while all of my anecdotal notes are for Evernote. I have a page for each different type of assessment/record keeping – South Australian Spelling Test, PAT testing, Weekly Spelling Test scores, On Demand Testing, Assembly Awards, Reading Levels and Reciprocal Reading Groups…you name it, I’ve recorded it! Many of my colleagues use this in the secondary department as they have various subjects and classes. This app allows you to take the roll, assess student work, track student behaviour, create seating plans and add notes to lesson plans. Read more about this app here. Posted on March 9, 2014 by F.H. RRCalc is a calculator, programmed to work as you conduct your Running Records with readers, to help you calculate your results. The app retails at $1.99 in the App Store. Not only does RRCalc assist you in calculating your results, but it offers an audio-recording option, so you can flag the errors at certain parts and listen back to it later. As you begin, you are able to flag the error and mark it as a self-correction if necessary. Once the reading is completed, you are asked to enter the number of words for the text, which will calculate a Words Per Minute (WPM) score based on the total time taken to read. I find this particularly helpful for those students who may not be making too many errors, but need assistance with their fluency and phrasing. 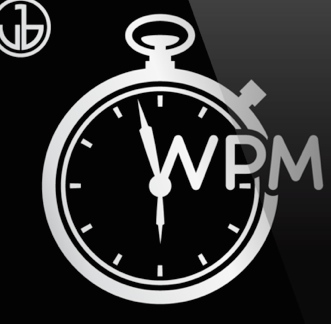 I use RRCalc to calculate my Running Records, but more importantly, the WPM. The audio recording is able to be emailed to yourself, or another person, (or your Evernote account for anecdotal records!) but must be done before you begin another Running Record. 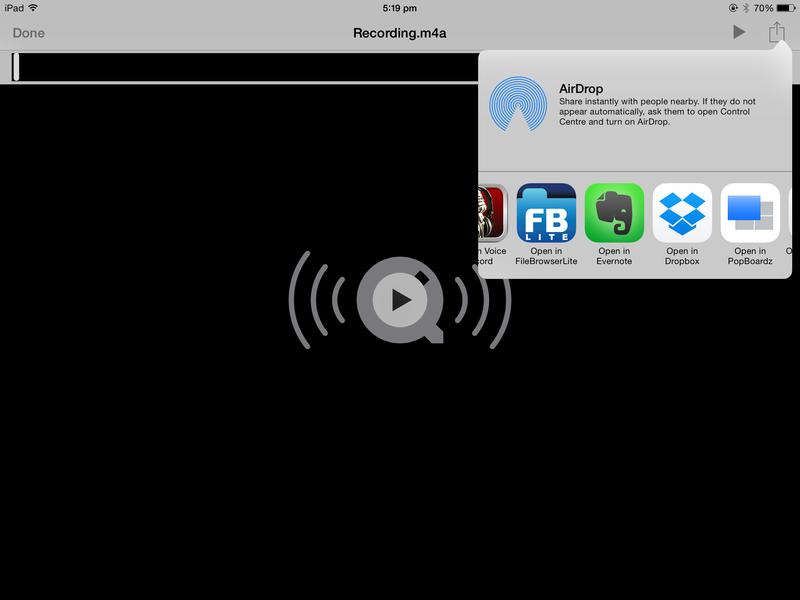 Once you hit the ‘Reset’ button, the app discards the previous recording – so emailing on the spot is the best method. I email these to my Evernote account and organise them in the particular student’s notebook – perfect for listening back to, sharing with parents, or even with the students themselves to help discuss reading goals. Click here to be directed to RRCalc in the App Store. This post is the fifth in a series, highlighting apps which can be helpful in the education ‘game’. Posted on February 22, 2014 by F.H. Evernote is a note-taking app, with the ability to organise notes into notebooks and add tags to make your notes searchable for keywords. Evernote allows you to create notes using editable text, as well as inserting photos,videos and audio files. Creating notebooks for each student allows you to keep anecdotal notes, as well as audio/visual evidence, all in one easy to find place. It is also a Web 2.0 program, able to be downloaded to your desktop for easy use. Syncing notes between your PC and iPad is easy. 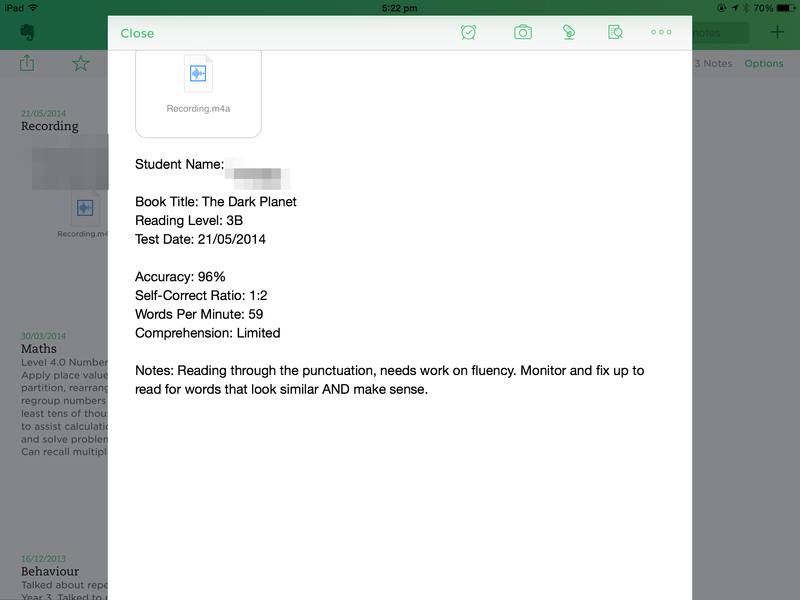 Evernote can be used for anecdotal student notes, meeting notes, PD experiences and more. Evernote even has it’s own email system, meaning you can email notes to and from your notebooks. Taking a photo of a presenter’s presentation is far more efficient than trying to scribble everything down in a hurry. Adding a ‘tag’, or a category to each note makes it easy to locate certain topics in your notes. 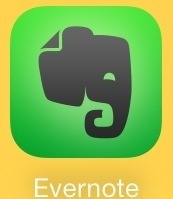 Click here to be directed to Evernote in the App Store. This post is the third in a series, highlighting apps which can be helpful in the education ‘game’.